A rare George La Foley ukelele made in London in the 1930's for Barnws and Mullins. 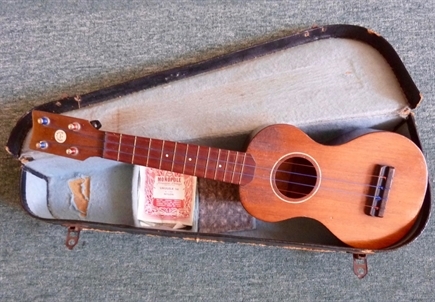 This is the same ukelele that George Formby played, it may have even been his???? It as a great sound and will only appreciate in value.